As the world’s first purpose-designed, mass produced, 100 per cent electric car, the ground breaking Nissan Leaf has always proven that zero-emission mobility is not a dream but reality. However, with the introduction of the all new Nissan Leaf starting from just €20,990 (including government grant of €5,000 ), that reality has just become even more affordable. And despite the original and pioneering Nissan Leaf being one of the most advanced cars available on the market, innovation, and progress do not stand still. The all new Nissan Leaf features over 100 changes and modifications, some major, some minor, to offer what Nissan say is the most exciting, practical, and stylish way to own an electric vehicle. 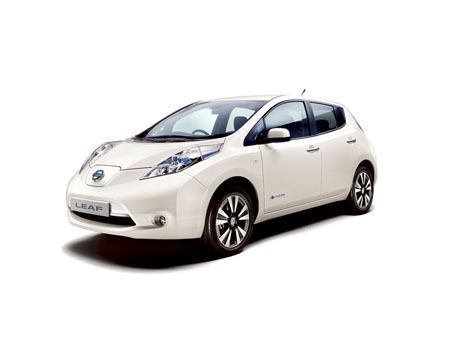 This latest offer from Nissan adds a further dimension to the value for money their Leaf represents. Average running costs (based on using night saver electricity rates ) for the car are coming in at 1 cent per kilometer, which Nissan says is truly remarkable when compared with 7 cent per kilometre for an average diesel car and 9 cent per kilometre for an average petrol car. At these rates anyone covering 20,000 kilometres in a year can expect to save up to €1,800 in the annual running costs for their car. And Nissan boast that the savings don’t just stop there. As the Leaf has no CO2 emissions - annual road tax is at the lowest level of €120. And with very few serviceable items on the car, owners can also expect to save up to 50 per cent on annual servicing and maintenance costs (based on 20,000km annual mileage ). And it’s not just money you’ll save. Nissan Ireland says that the Leaf is a car that runs on 100 per cent electricity, which it claims mean its energy is sourced cheaply and most importantly, ecologically, doing your bit for the planet also. While the latest new Leaf might look broadly similar to the pioneering original on the outside, Nissan point out that significant improvements have been made to make an even more compelling argument for battery-powered cars. First, the new Leaf now comes in three separate grades; XE, SV, and SVE. There is also more available equipment including leather trim and Around View monitor. And full heated leather upholstery is now available on SVE grade. There is also a wider colour range now to choose from. And importantly, the Leaf’s driving range has been extended from 175km to 199km. Another important technical change is a faster 6.6Kw charging optional extra, which can cut charging time for owners in half. Also in this vein, a fully integrated motor and charger now frees up extra luggage space, with resulting weight reduction averaging 32 kg. The XE model starts from just €20,990 (€21,490 with a quick charge ), a lower entry price point than the original, making zero-emission mobility even more accessible. The XE model comes with 16-inch steel wheels and full wheel covers, black mirror caps and halogen headlights. Front fog lights, i-Key, and audio system with four speakers are also standard. The mid-range SV grade, priced at €23,990, is generously equipped with 16-inch alloy wheels, advanced IT with Carwings telematics, rear view monitor, remote charger and heating activation, rear privacy glass, a six-speaker sound system, body colour mirrors and automatic lights with follow-me home lighting. The top of the range SVE model priced at €26,390 adds LED headlamps, seven-speaker Bose sound system, heated leather seats and steering wheel, 17-inch alloy wheels, rain sensing wipers, electric heated folding door mirrors, and Around View Monitor. All versions have a full complement of safety equipment as standard with front side and curtain airbags as well as ABS, EBD and brake assistance. The Electronic Stability Programme (ESP ) is also standard. The Nissan Leaf gained a full five star Euro NCAP rating on its launch and was the first 100 per cent electric vehicle to gain this safety rating.